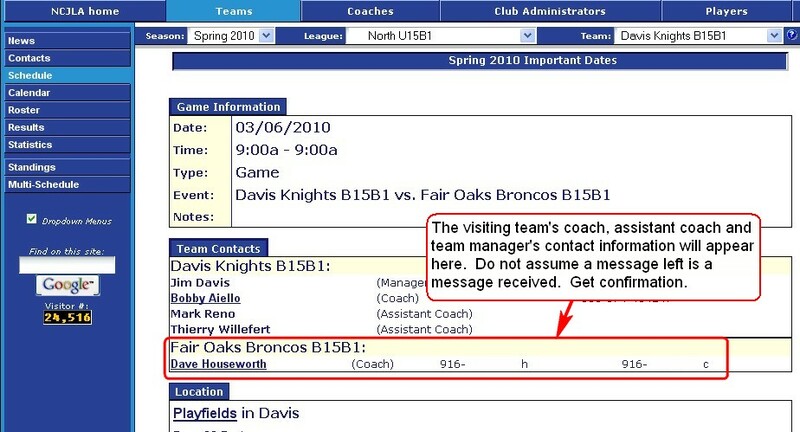 How do I find our team’s schedule and contact information for the visiting team? Go to the NCJLA website www.ncjla.org and click on the “Teams” tab. 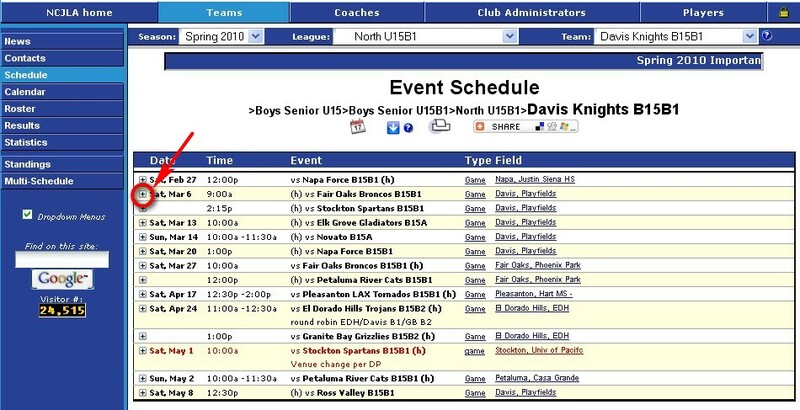 Select the appropriate season (1), League (2), Team (3) and then click on the “Schedule” tab (4). On the Schedule page, click on the “+” key next to the home game of interest. The details for the game will appear including the contact information for the visiting team’s coach, assistant coach and team manager. Confirm with them the date, time and location for the game. Determine how and by when you will communicate with them if the game will be not be played because the field is not safely playable. Do not assume a message left with the visiting team is received. Get confirmation.